If you are looking for a yacht that’s safe, easy to handle and built to last, then look no further. This British (Plymouth) built, strong and reliable Hurley 22 has many other benefits too. Bilge keels to enable full use of our beautiful coastline and shallow water inlets (no need for a cradle for winter storage either), a 2009 inboard engine, a good navigation and safety fit, clean, bright upholstery and a handy sea toilet. There is an August 2015 survey available for serious buyers along with a comprehensive maintenance & improvement schedule / record that has been meticulously carried out by the keen joint owners. As you’d expect, the hull has been freshly scrubbed / anti fouled ready for the season. Due to be lifted back into the water on April 13th (the lift is already paid for), this is a ready made gift for any keen young sailor or well-seasoned sea dog. 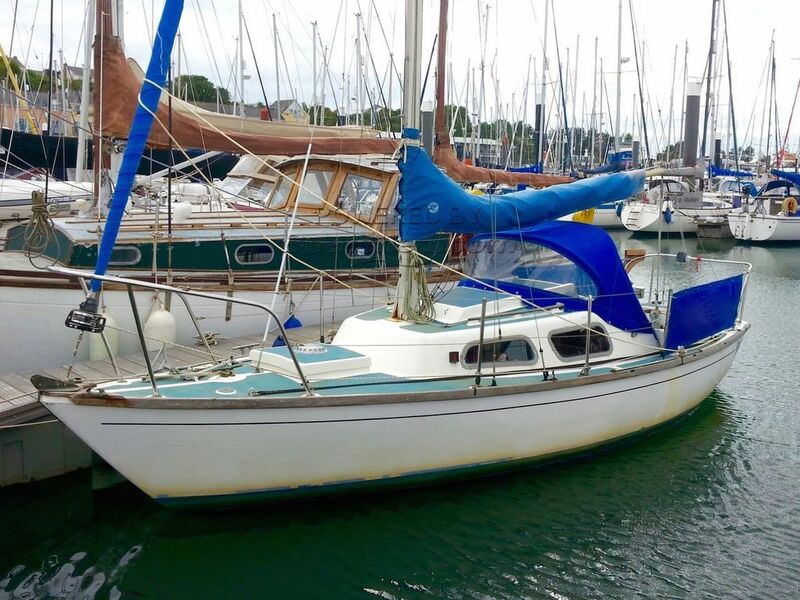 This Hurley 22 Bilge Keeler has been personally photographed and viewed by Billy & Jo Hallam of Boatshed Plymouth. Click here for contact details.